All Arab civil wars are not created equal. 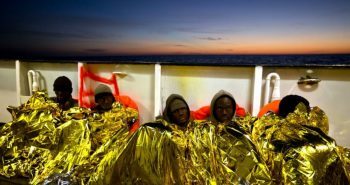 Libya has been in a state of civil war for five years now, yet it hasn’t been a civil war full of massacres or famines like the sectarian wars in Yemen and Syria. 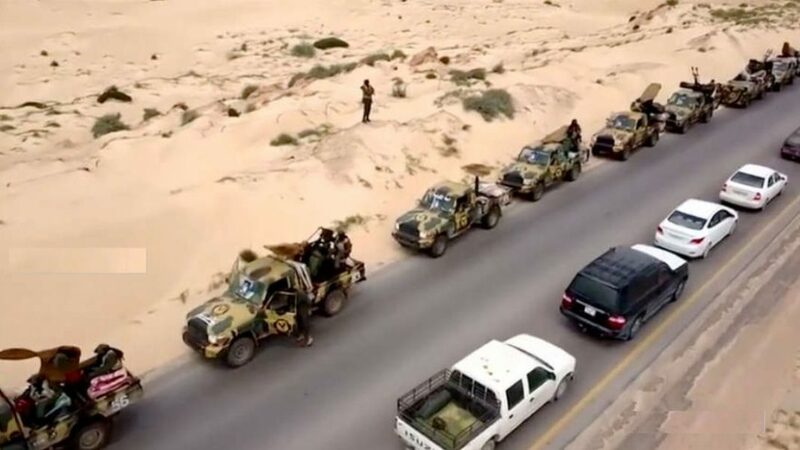 Libya’s war has certain highly unusual characteristics: low death tolls, high diffusion of arms, two governments (both of whom claim sovereignty but do not actually exercise it), extreme fragmentation of fighting forces, and the same central bank paying the fighters on all sides. From a military perspective, the defining characteristic of Libya’s war relates to how territory is captured. Where there have been protracted pitched battles, usually against jihadists, exchange of territory happens slowly and destructively. Conversely, where there have been huge gains and losses of territory, it usually transpires with groups being bought off to switch their allegiances, or with one force marching its column of technical across a highway and the other side running away with nary a shot being fired. 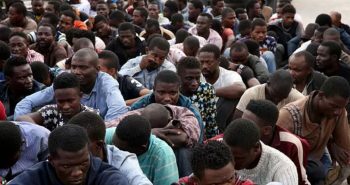 What does this say for the prospects to resolve Libya’s civil war militarily, as one actor is now trying to do? 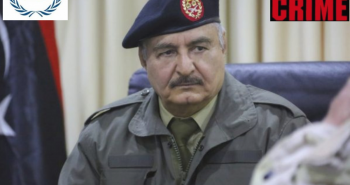 On April 4, Field Marshall Khalifa Hifter’s Libyan National Army (LNA) announced that it was going to finally take Tripoli by force — its stated ambition for years now. This is not coming out of the blue. It is actually the tail end of a five-year process since Hifter launched Operation Dignity with the proximal aim of ridding Benghazi of jihadists and a distal aim of conquering the whole country. Does this announcement represent a fundamental change in Libya’s war or just a natural culmination? Is Hifter on the precipice of victory? 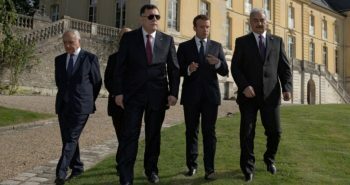 As this article goes to press, the country is truly holding their collective breaths in fear of a new phase of violence in which a genuine hot war would engulf Tripoli, possibly destroying prospects of a political agreement that was supposed to be formalized and endorsed “by the Libyan people” at an upcoming National Conference only 10 days from now. My 11 years of work in and on Libya leads me to believe that we are not on the verge of something genuinely new, but only another iteration in a long, drawn-out process. 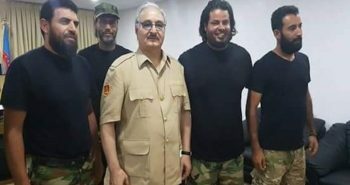 While the UN secretary-general was giving a press conference in Tripoli to support Libyans in making the long-awaited national conference happen, LNA leader Hifter chose to declare the beginning of Operation Tripoli Liberation in a bombastic statement, triggering a mix of emotions throughout a country fatigued with conflict. 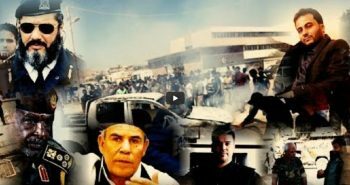 Although Hifter’s supporters traditionally come from the country’s east and it has long been axiomatic that he is hated in the country’s west, the reality is that most Libyans are simply tired of fighting — but they have opposing ideas on how to end the conflict. About half the civilians would likely welcome his troops into the capital if it meant the end of the civil war, while the other half would join the resistance and fight the LNA tooth and nail. What Hifter appears to be trying to do is create a popular groundswell of support for him as “Libya’s savior” and an alternative to the UN-backed political process. He is doing so in a very 2019 kind of way: as a neo-populist authoritarian who manipulates the media, promotes fake news and claims to represent the people while the wealthy and connected get rich. That said, he might be more on the savvy side of neo-populism. This is evidenced by the fact that, even while he is likely benefiting from Russian media and military help, Hifter and his supporters grasp the longings of the populace more than any of the other political actors. Hifter is keen to use this moment to capitalize on media attention and insert himself in the national conversation and tip the conversation before the National Conference. That is the media angle. 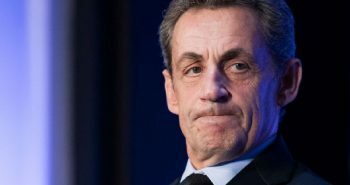 But is now the right time, from a military perspective, for his announced putsch? There can’t be a compelling military reason, as a stealth assault is far more likely to succeed than one telegraphed over Twitter. Presumably, Hifter is afraid of his supporters being “unfairly” represented at the National Conference or an agreement emerging that does not reflect his gains on the ground. As such, it is the approach of the conference — and the genuinely novel political track that it represents — that has triggered this timing. Therefore, the assault on Tripoli is a form of kabuki theater. Hifter thinks he can benefit from the appearance of the assault, knowing that a genuine hot war would not succeed and would harm his interests. Using columns of tanks and tweets to conquer the news cycle rather than assault Tripoli seems a savvy strategy. A military conquest is genuinely impossible, and the threat of it is already causing a rallying of domestic and international forces against Hifter. The ensuing backlash could potentially exclude him from — rather than his presumed goal of, including him in, or being crowned by — the National Conference. Moreover, Hifter lacks the firepower to hold Tripoli. Once his forces become overstretched, they would suffer a series of guerrilla challenges from myriad opponents, including a resurgent jihadi movement. Has Hifter overplayed his hand, then? That is certainly my first inclination and that of most other commentators, but maybe we are missing something. Hifter is a skilled puppet master. 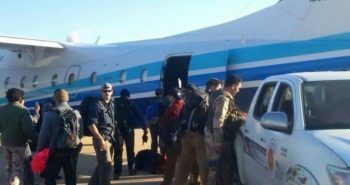 He took the oil crescent region in September 2016 from federalist warlord Ibrahim Jadhran after luring Jadhran’s tribal support away by payoffs. Yes, Jadhran retook the oil crescent briefly three times over the next two years, but he did so by stealth and guile, not by sheer military force. In each instance, when Hifter finally retook the strategic area he did so with barely any causalities. 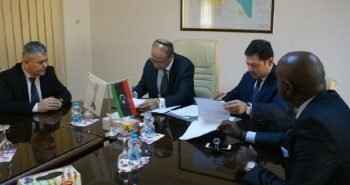 This pattern of changing the alliance structure and local narrative so as to make lightning territorial gains has recently played out in Libya’s south. Libya’s largest oil field, Sharara, located in the extreme southwestern part of the country, was shut down by a protesting militia in December. 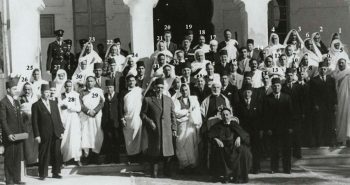 Hifter’s forces advanced methodically hundreds of miles into the desert and “retook” the field by making a patchwork of local deals with tribal, ethnic and local groups. In each of these instances, the LNA’s maneuvers have their local detractors, and yet the LNA has bought off just enough groups to extend its control. Densely populated Tripoli, with its concentration of strategic chokepoints, would appear to be a whole different kettle of fish. Maybe Hifter has bitten off even more than he can chew, even if a real military assault was never intended. The media optics might run away from him in this instance. And here is where Libya’s unique way of fighting could provide the answer for what will next happen. The warring factions have proved remarkably casualty averse. This does not appear to be happening just yet. 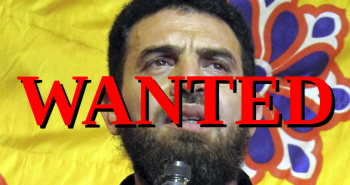 Some Madkhali Salafist brigades may peel off from the anti-Hifter UN-backed Government of National Accord (GNA). Yet his most implacable opponents in Misrata and in the main security forces that buttress the GNA have rallied around the defense of Tripoli. In Libya, anything can yet happen. But even though Libya’s civil war is witnessing its biggest escalation since the fall of Gadhafi and violent skirmishes are bound to break out and troops get captured, the safe money is still that a genuine blood bath will be avoided and the end result will be some sort of fudge with certain factions switching sides and columns of tanks darting forward and retreating. Yet, when the smoke clears, no one faction will control the country and a political compromise will still remain the only way forward. 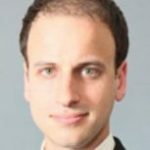 Jason Pack is founder of Libya-Analysis, Emeritus Director of Eye On ISIS in Libya, the Senior Libya Analyst at CRCM North Africa and former Executive Director of the U.S.-Libya Business Association. 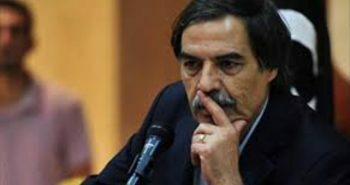 What is the fate of Al-Werfalli after ICC decision?